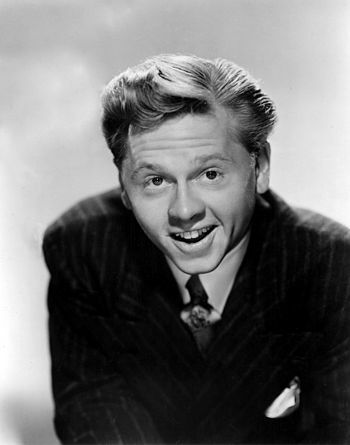 It has been announced that legendary actor Mickey Rooney has passed away at the age of 93. The cause of death was not immediately mentioned, but it has been reported by the BBC that he was ill for some time before his death. Mr. Rooney appeared in a large number of movies over his career, including 16 movies about Andy Hardy. Mr. Rooney was a famous child actor, but continued this into his adult life, continuing in movies and television. He was one of the last four actors living who had starred in silent films. Aside from movies, Mr. Rooney was also known as Henry Dailey in The Adventures of the Black Stallion. Mickey Rooney was married eight times, his most famous wife being Ava Gardner. He has nine children, as well as 19 grandchildren. Thanks to all his marriages, and divorces, Mr. Rooney declared bankruptcy in 1962. During World War II, Mr. Rooney served in the U.S. Army, entertaining troops. Thanks to performances given in combat zones, her received the Bronze Star Medal. Mr. Rooney may be gone, but he will not be forgotten. This entry was posted in Obituaries and tagged Academy Award, actor, Child Actor, dead, Death, Mickey Rooney, Obituary. Bookmark the permalink.